Schleich Chicken Coop 42421 - Toys & Learning - Schleich Specialists - 100% - Fast Service - Sale Prices. 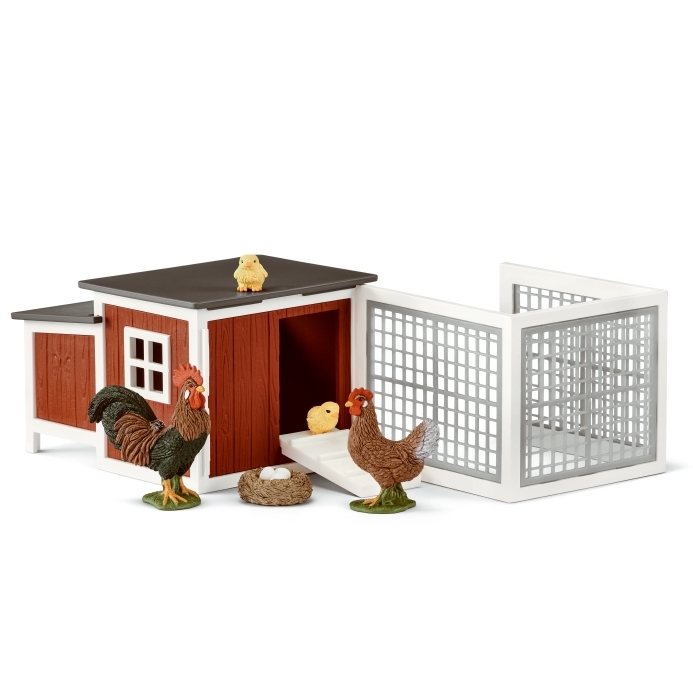 This Schleich Chicken Coop is one of the top quality hand finished products from the Schleich farm animals. Great hen house with accompanying run. The roof also is detachable. Somewhere lovely to keep your chickens where they can lay their eggs! Comes with 2 baby chicks as well. Every farm needs a chicken coop and this one is a must have for a Schleich farm collection! Lovely product!